Or British Fleets the boundless Ocean awe. The 335th day of the year; 2335 is the smallest power of two which equals the sum of four consecutive primes. *Prime Curios This seems astounding to me, that such a huge number would be the first. There are 67 primes smaller than 335, and so 335 is divisible by the number of primes less than itself.. How common is that for integers. Lagrange's theorem tells us that each positive integer can be written as a sum of four squares, but many can be written as the sum of only one or two squares. 335 is one of the numbers that can not be written with less than four non-zero squares. The smallest examples are 7, 15, and 23. If you take any number in this sequence, and raise it to an odd positive power, you get another number in the sequence, so now you know that 73 = 343 is also not expressible as the sum of less than four non-zero squares. 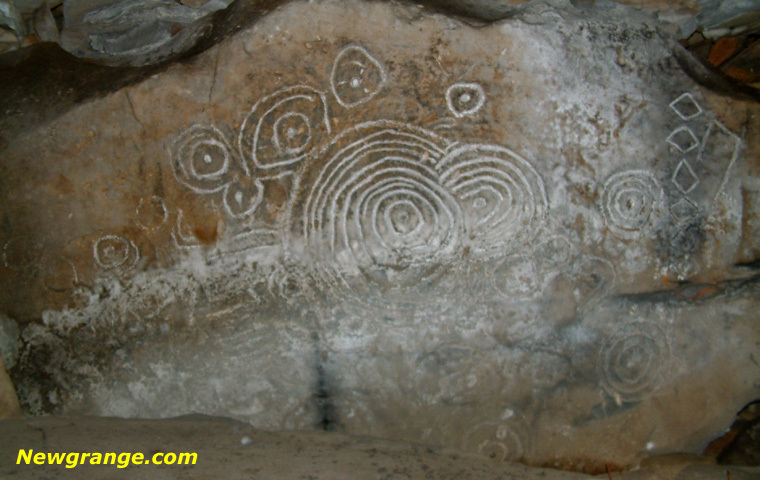 3340 BC Our ancient Irish ancestors were expert astronomers, who carved images of an eclipse on ancient stone megaliths over 5000 years ago. November 30th 3340 BC: The world's oldest known solar eclipse was recorded in stone. Substantially older than the recordings made in 2800 BC by the Chinese astronomers, it is situated at Loughcrew in Co Meath. The Irish Neolithic astronomer priests at this site recorded events on 3 stones relating to the eclipse, as seen from that location. 1712 William Jones elected fellow of the Royal Society. In 1706 he introduced the Greek letter π for the ratio of the circumfrence of a circle to a diameter in his book Synopsis palmariarum matheseos (1706). This title is hard to translate. Literally it means a synopsis of the palm leaves of mathematics. Thus it is a compendium of the most praisworthy parts of mathematics. Earlier William Oughtred (1647) and Isaac Barrow (1669) used the same symbol for twice the number. The symbol was not generally used in our sense until Euler, who adopted it in 1737, popularixed π in his Introductio in analysin inﬁnitorum of 1748. See DSB 7, 163, and “The ubiquitous π ” by Dario Castellanos, Mathematics Magazine 61(1988), 67–98, especially p. 91. 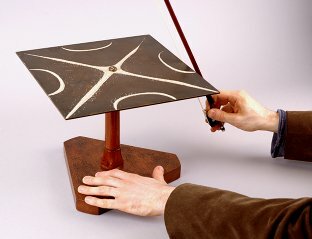 A nice post by Thony Christie, at The Renaissance Mathematicus discusses Jones part in preserving John Collins Library. 1917 Bose Institute founded. Bose Institute is a research institute in the fields of Physics, Chemistry, Plant biology, Microbiology, Biochemistry, Biophysics, Animal physiology, Immunotechnology and Environmental science. The institute was established in 1917 by Acharya Jagdish Chandra Bose, who was the founder of modern scientific research in India. Bose Institute pioneered the concept of inter-disciplinary research in India in synch with global trends. Its alumni have achieved renown in India and the world. “I dedicate today this Institute as not merely a laboratory but a temple .... In the pursuit of my investigations I was unconsciously led into the border region of physics and physiology. To my amazement, I found boundary lines vanishing, and points of contact emerging, between the realms of the living and the non-living .... The lectures given here will not be mere repetitions of second-hand knowledge. They will announce new discoveries, demonstrated for the first time in these halls. Through regular publication of the work of the Institute, these Indian contributions will reach the whole world. They will become public property. No patents will ever be taken. The spirit of our national culture demands that we should forever be free from the desecration of utilizing knowledge only for personal gain." I imagine Ms Hodges never heard "Stars Fell on Alabama" in quite the same way again. 1936 Dmitri Victorovich Anosov (November 30, 1936 in Moscow, ) is a Soviet and Russian mathematician, known for his contributions to dynamical systems theory. 1720 Pierre Jartoux (c1670; Embrun, France.- 30 Nov, 1720, Manchuria) known in China as Du Demei, Jartoux was a Jesuit Priest who went to live and work in China. His knowledge came to the attention of the Emperor and he was called to Peking (Beijing) to work in the calendar bureau. The emperor took notice of his skills in theoretical mathematics as well as with clocks and other mechanical devices. When not occupied at court, Jartoux ministered to Christians in the capital. 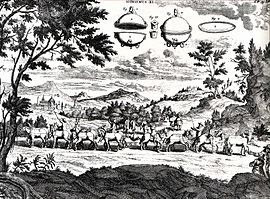 In 1708 he assisted two Jesuit confreres, Joachim Bouvet and Jean-Baptiste Regis, in the first stages of making a map of the Chinese empire. His travels took him to the Great Wall north of the capital and throughout Manchuria, where he also ministered to the Christians. Illness forced him to return to Peking, where he began to collate the maps of the provinces in preparation for a general atlas. The final version was presented to the emperor one year after Jartoux died in Manchuria. He is remembered here for his influence on the introduction of some Western mathematical ideas into the mathematical culture of China and Japan. In China his influence on shows in the 1759 work of Mei Juecheng, the Chishui yizhen (Pearls recovered from the Red River). This contained the infinite series expansion for sin(x) which was discovered by James Gregory and Isaac Newton. In fact it was Jartoux who introduced the infinite series for the sine into China in 1701 and it was known there by the name 'formula of Master Du'. In fact Pearls recovered from the Red River was one of two chapters that Mei Juecheng appended to the works of Mei Wending that he was editing and republishing. Mei Juecheng's study of the motion of the moon to provide improved predictions of eclipses of the moon used the best of European and Chinese astronomical data, and surpassed both cultures work. In Japan, he was probably the source of the critical equation in the "yenri" (Circle Principle) presented by Takebe. His use of a "Wallis-like" infinite series was accompanied by a very unsatisfactory explanation of his development of the series. D. E. Smith and Mikami believe that he acquired the formula from Jartoux, who had passed on the same series (along with five others) to Mei Juecheng who added three to it in the above mentioned Chinese work. * SAU, Smith/Mikami "A History of Japanese Mathematics"
1836 Pierre-Simon Girard (Caen, 4 November 1765 – Paris, 30 November 1836) was a French mathematician and engineer, who worked on fluids. - 30 Nov 1921 in Berlin, Germany) Schwarz worked on the conformal mapping of polyhedral surfaces onto the spherical surface and on a problem of the calculus of variation, namely surfaces of least area. In 1870 he produced work related to the Riemann mapping theorem. Although Riemann had given a proof of the theorem that any simply connected region of the plane can be mapped conformally onto a disc, his proof involved using the Dirichlet problem. Weierstrass had shown that Dirichlet's solution to this was not rigorous, see for details. Schwarz's gave a method to conformally map polygonal regions to the circle. Then, by approximating an arbitrary simply connected region by polygons he was able to give a rigorous proof of the Riemann mapping theorem. Schwarz also gave the alternating method for solving the Dirichlet problem which soon became a standard technique. and somehow to make these dry bones live. D. R. Kaprekar created a famous, and unusual sequence 1, 2, 4, 8, 16, 23, 28, based on the sequence that the k(0)=1, and K(n) = K(n-1) + sum of digits of (k+1). He created the name "self number" for numbers that can not be made up as the sum of any number and the sum of its digits, which of course, can not appear in this sequence. 334 is such a self number. 1952 John David Barrow FRS (29 November, 1952-) is an English cosmologist, theoretical physicist, and mathematician. He is currently Research Professor of Mathematical Sciences at the University of Cambridge. Barrow is also a writer of popular science and an amateur playwright. Newton is, of course, the greatest of all Cambridge professors; he also happens to be the greatest disaster that ever befell not merely Cambridge mathematics in particular, but British mathematical science as a whole. The 333rd day of the year; There are 333 possible hexagonal polyominoes with seven cells. Of course you know that 32 + 42 = 52, but did you know that 3332 + 4442 = 5552.... and the magic doesn't end there. Memorandum November 28 1660: "These persons following according to the usual custom of most of them, met together at Gresham College to hear Mr Wren's lecture, viz. The Lord Brouncker, Mr Boyle, Mr Bruce, Sir Robert Moray, Sir Paule Neile, Dr Wilkins, Dr Goddard, Dr Petty, Mr Ball, Mr Rooke, Mr Wren, Mr Hill. And after the lecture was ended they did according to the usual manner, withdraw for mutual converse." 1772 At the Board meeting of 28 November 1772 Nevil Maskelyne, Astronomer Royal, presented the other astronomer's suggestions 'for improving (Tobias) Mayer's (Lunar) Tables by lessening the Errors in the method of calculation which he had perfected under the encouragement of the Board ; and at the same time reported that he has reduced the Errors of those Tables to about one half'. 1889 The Gilbert Club was officially formed on 28 November 1889. 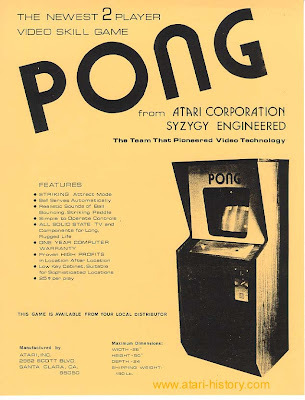 Advertised by a specially printed circular sent to select scientists, engineers, and other enthusiasts, the proposed association was also mentioned in the Times and in the leading British and American scientific weeklies, Nature and Science. By the time of the inaugural meeting, eighty-seven members had already signed up, many of whom were gathered in the chambers of the Society of Arts that afternoon to hear Silvanus Phillips Thompson describe the eminence and importance of William Gilbert of Colchester (1544-1603), the doctor whose early experimental investigations "constituted the absolute starting-point of the science of electricity." 1936 This is the earliest exact date I can find where L. R. Ford presented information about his ideas on Ford Circles. He presented his idea at a meeting of the American Mathematical Society at Lawrence Kansas. (If someone knows dates of presentations at Rice, Univ of Texas, etc I would love to have those dates and any information on which parts were presented). *Am Mathematical Monthly, 1938. 1772 Luke Howard, FRS (28 November 1772 – 21 March 1864) was a British manufacturing chemist and an amateur meteorologist with broad interests in science. His lasting contribution to science is a nomenclature system for clouds, which he proposed in an 1802 presentation to the Askesian Society. 1898 John Wishart FRSE (28 November 1898 – 14 July 1956) was a Scottish mathematician and agricultural statistician. He worked successively at University College London with Karl Pearson, at Rothamsted Experimental Station with Ronald Fisher, and then as a reader in statistics in the University of Cambridge where he became the first Director of the Statistical Laboratory in 1953. He was elected a Fellow of the Royal Society of Edinburgh in 1931, and edited Biometrika from 1937. 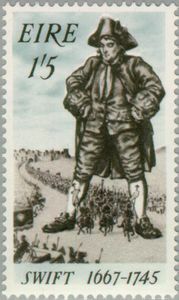 The Wishart distribution is named after him. 1905 Albert William Tucker (28 November 1905 – 25 January 1995) was a Canadian-born American mathematician who made important contributions in topology, game theory, and non-linear programming.In the 1960s, he was heavily involved in mathematics education, as chair of the AP Calculus committee for the College Board (1960–1963), through work with the Committee on the Undergraduate Program in Mathematics (CUPM) of the MAA (he was president of the MAA in 1961–1962), and through many NSF summer workshops for high school and college teachers. In the early 1980s, Tucker recruited Princeton history professor Charles Gillispie to help him set up an oral history project to preserve stories about the Princeton mathematical community in the 1930s. With funding from the Sloan Foundation, this project later expanded its scope. Among those who shared their memories of such figures as Einstein, von Neumann, and Gödel were computer pioneer Herman Goldstine and Nobel laureates John Bardeen and Eugene Wigner. DEATHS 1821 Samuel Vince (6 April 1749; Fressingfield – 28 November, 1821; Ramsgate) was an English clergyman, mathematician and astronomer at the University of Cambridge. The son of a plasterer, Vince was admitted as a sizar to Caius College, Cambridge in 1771. In 1775 he was Senior Wrangler, and Winner of the Smith Prize at Cambridge. Migrating to Sidney Sussex College in 1777, he gained his M.A. in 1778 and was ordained a clergyman in 1779. He was awarded the Copley Medal in 1780 and was Plumian Professor of Astronomy and Experimental Philosophy at Cambridge from 1796 until his death. As a mathematician, Vince wrote on many aspects of his expertise, including logarithms and imaginary numbers. 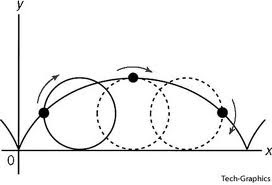 His Observations on the Theory of the Motion and Resistance of Fluids and Experiments upon the Resistance of Bodies Moving in Fluids had later importance to aviation history. He was also author of the influential A Complete System of Astronomy (3 vols. 1797-1808). 1954 Enrico Fermi (29 Sep 1901, 28 Nov 1954) Italian-born American physicist who was awarded the Nobel Prize for physics in 1938 as one of the chief architects of the nuclear age. He was the last of the double-threat physicists: a genius at creating both esoteric theories and elegant experiments. In 1933, he developed the theory of beta decay, postulating that the newly-discovered neutron decaying to a proton emits an electron and a particle he called a neutrino. Developing theory to explain this decay later resulted in finding the weak interaction force. He developed the mathematical statistics required to clarify a large class of subatomic phenomena, discovered neutron-induced radioactivity, and directed the first controlled chain reaction involving nuclear fission. *TIS Emilio Segre tells this story in his biography of Fermi: "Fermi told me that one of his great intellectual efforts was his attempt to understand - at the age of ten- what was meant by the statement that the equation x2 + y2 = z2 represents a circle. Someone must have stated the fact to him, but he had to discover the meaning by himself." 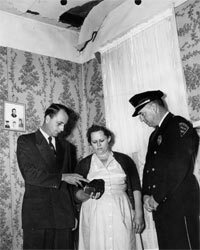 Fermi, while working in Los Alamos once calculated very high odds that the Earth should have been visited by aliens repeatedly over history. He sometimes would call out, "Where are they?" Once, it was said, Fermi uttered his famous question in the presence of Lio Szilard, who responded, "They are among us, but they call themselves Hungarians." *P Ballew "Where are They?".... We are here! 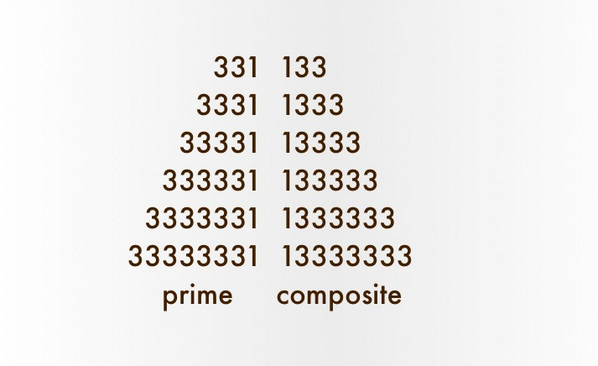 The sum of the first 332 primes is a prime. 1979 The New York Times in an article entitled “Soviet mathematician is obscure no more,” reported on Leonid Khachiyan, the 27-year-old discoverer of a polynomial-time algorithm for linear programming. *Mathematics Magazine 53 (1980), p 119. 1904 Paul Tannery (20 Dec 1843 in Mantes-la-Jolie, Yvelines, France - 27 Nov 1904 in Pantin, Seine-St Denis, France) His main contributions were to the history of Greek mathematics and to the philosophy of mathematics. He published a history of Greek science in 1887, a history of Greek geometry in the same year, and a history of ancient astronomy in 1893. Tannery did work of great importance as an editor of famous mathematics texts. He edited the work of Fermat in three volumes (jointly with C Henry) between 1891 and 1896. In addition he edited the work of Diophantus in two volumes (1893-95). He was an editor of the twelve volume complete works of Descartes Oeuvres de Descartes (1897-1913). 331 is also the sum of five consecutive primes. It is both a centered Pentagonal number and a centered Hexagonal number. In 1885, the first meteor trail was photographed in Prague, Czechoslovakia. This was part of the Andromedid meteor shower also known as the Bielids because they were caused by Comet Biela. William F. Denning (Bristol, England) noted the activity with rates averaging 100 per hour. On the next evening, 27 Nov, he declared "meteors were falling so thickly as the night advanced that it became almost impossible to enumerate them." Observers with especially clear skies had rates of about one meteor/second or 3600/hour. Meteor showers are produced by small fragments of cosmic debris entering the earth's atmosphere at extremely high speed. The debris originates from the intersection between a planet's orbit and a comet's orbit. *TIS If someone can supply a digital copy of this first photo, I would be greatly pleased. 1885 Smith Prize winners under new regulations announced in Nature Magazine. A. N. Whitehead gets only honorable mention in the new essay-based Smith's Prize. 1968 Georgii Nikolaevich Polozii (23 April 1914 in Transbaikal, Russia - 26 Nov 1968 in Kiev, Ukraine) Georgii Polozii studied at Saratov University which had been founded in 1919. He graduated in 1937 and then was appointed to the teaching staff of the university. In 1949 Polozii was appointed to the University of Kiev and he remained at Kiev until his death in 1968. 1990 Richard Alan Day (9 Oct 1941 in Sault Ste Marie, Ontario, Canada - 26 Nov 1990 in Thunder Bay, Ontario, Canada) He spent his whole career at Lakeland University in Thunder Bay, being promoted to Associate Professor in 1975 and to full professor five years later. 2015 Amir D. Aczel (November 6, 1950 – November 26, 2015) was an Israeli-born American lecturer in mathematics and the history of mathematics and science, and an author of popular books on mathematics and science. Aczel was born in Haifa, Israel. Aczel's father was the captain of a passenger ship that sailed primarily in the Mediterranean Sea. When he was ten, Aczel's father taught his son how to steer a ship and navigate. This inspired Aczel's book The Riddle of the Compass. When Aczel was 21 he studied at the University of California, Berkeley. He graduated with a BA in mathematics in 1975, and received a Master of Science in 1976. Several years later Aczel earned a Ph.D. in statistics from the University of Oregon. Aczel taught mathematics at universities in California, Alaska, Massachusetts, Italy, and Greece. He married his wife Debra in 1984 and has one daughter, Miriam, and one stepdaughter. He accepted a professorship at Bentley College in Massachusetts where he taught classes on the history of science and the history of mathematics. While teaching at Bentley, Aczel wrote several non-technical books on mathematics and science, as well as two textbooks. His book, Fermat's Last Theorem (ISBN 978-1-56858-077-7), was a United States bestseller and was nominated for a Los Angeles Times Book Prize. Aczel appeared on CNN, CNBC, The History Channel, and Nightline. Aczel was a 2004 Fellow of the John Simon Guggenheim Memorial Foundation and Visiting Scholar in the History of Science at Harvard University (2007). In 2003 he became a research fellow at the Boston University Center for Philosophy and History of Science, and in Fall 2011 was teaching mathematics courses at University of Massachusetts Boston. The capacity to blunder slightly is the real marvel of DNA. and there would be no music. The 330th day of the year; if all the diagonals of an eleven sided regular polygon were drawn, they would have 330 internal intersections. A set of 11 points around a circle provide the vertices for 330 quadrilaterals. 330 is the sum of five consecutive squares, or of six consecutive primes. 1731 A letter from Euler to Goldbach on this day includes the first use by Euler of continued fractions. Prior to his use continued fractions had made only scattered appearences. In the same letter he introduced the letter e as the base for the natural logarithms, "(e denotat hic numerum, cujus logarithmus hyperbolicus est=1. )," which Google translates as "(e denotes here the number of out of which the hyperbolic logarithm is equal to 1.)" Euler had already used the letter e to represent the number 2.71828... in one of his earliest works, a manuscript entitled "Meditation upon Experiments made recently on the firing of Cannon," written in 1727 when he was only twenty years old (it was not published until 1862, eighty years after his death). In a letter written in 1731 the number e appeared again in connection with a certain differential equation; Euler defines it as "that number whose hyperbolic logarithm is=1." 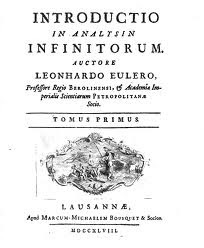 The earliest appearance in a published work was in Euler's Mechanica (1736), in which he laid the foundations of analytical mechanics. 1804 Gauss, in a letter to his close friend Farkas Bolyai, explains that he does not agree with Bolyai's claim that he had put Euclidean Geometry on Solid Ground, "Bolyai has communicated to Gauss his claim that he has put Euclidean geometry on solid ground." You desire only my careful and unfettered judgment: it is that your explanation does not satisfy me. I will try to explain the issue (it belongs to the same set of reefs on which my attempts have run aground) with as much clarity as possible. To be sure, I still have hope that, before my time is up, these reefs will permit passage. For the time being I have so many other tasks at hand that I cannot think about this; believe me, it would really make me happy if you were to pull ahead of me and overcome all obstacles. I would then undertake with the greatest joy, with all that is in my power, to defend your accomplishment and bring it to the light of day. 1987 Evelyn Merle Nelson (November 25, 1943 – August 1, 1987), born Evelyn Merle Roden, was a Canadian mathematician. Nelson made contributions to the area of universal algebra with applications to theoretical computer science. Nelson's teaching record was, according to one colleague, "invariably of the highest order". 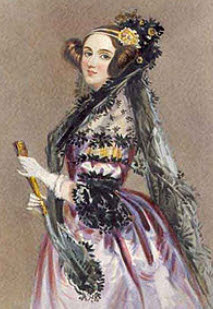 However, before earning a faculty position at McMaster, prejudice against her lead to doubts about her teaching ability. Nelson published over 40 papers during her 20-year career before she died from cancer in 1987. 1952 Edward Vermilye Huntington (April 26 1874, Clinton, New York, USA -- November 25, 1952, Cambridge, Massachusetts, USA) was an American mathematician. Huntington's primary research interest was the foundations of mathematics. He was one of the "American postulate theorists" (the term is Scanlan's), American mathematicians active early in the 20th century (including E. H. Moore and Oswald Veblen) who proposed axiom sets for a variety of mathematical systems. In so doing, they helped found what are now known as metamathematics and model theory. Huntington was perhaps the most prolific of the American postulate theorists, devising sets of axioms (which he called "postulates") for groups, abelian groups, geometry, the real number field, and complex numbers. His 1902 axiomatization of the real numbers has been characterized as "one of the first successes of abstract mathematics" and as having "filled the last gap in the foundations of Euclidean geometry". Huntington excelled at proving axioms independent of each other by finding a sequence of models, each one satisfying all but one of the axioms in a given set. His 1917 book The Continuum and Other Types of Serial Order was in its day "...a widely read introduction to Cantorian set theory." (Scanlan 1999) Yet Huntington and the other American postulate theorists played no role in the rise of axiomatic set theory then taking place in continental Europe. In 1904, Huntington put Boolean algebra on a sound axiomatic foundation. He revisited Boolean axiomatics in 1933, proving that Boolean algebra required but a single binary operation (denoted below by infix '+') that commutes and associates, and a single unary operation, complementation, denoted by a postfix prime. The only further axiom Boolean algebra requires is: (a '+b ')'+(a '+b)' = a, now known as Huntington's axiom. Revising a method from Joseph Adna Hill, Huntington is credited with the Method of Equal Proportions or Huntington-Hill method of apportionment of seats in the U.S. House of Representatives to the states, as a function of their populations determined in the U.S. census. 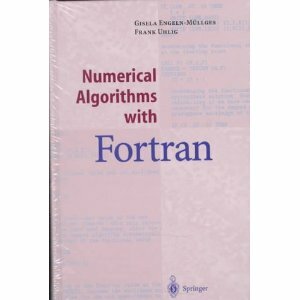 This mathematical algorithm has been used in the U.S. since 1941 and is currently the method used. 1978 Eduard L. Stiefel (21 April 1909, Zürich – 25 November 1978, Zürich) was a Swiss mathematician. Together with Cornelius Lanczos and Magnus Hestenes, he invented the conjugate gradient method, and gave what is now understood to be a partial construction of the Stiefel–Whitney classes of a real vector bundle, thus co-founding the study of characteristic classes. 2008 Beno Eckmann (March 31, 1917, Bern – November 25, 2008, Zurich) was a Swiss mathematician who was a student of Heinz Hopf. Born in Bern, Eckmann received his master's degree from Eidgenössische Technische Hochschule Zürich (ETH) in 1931. Later he studied there under Heinz Hopf, obtaining his Ph.D. in 1941. Eckmann was the 2008 recipient of the Albert Einstein Medal.